Over the past few years, certain words have evolved to invoke an involuntary shudder that I cannot suppress. “Sustainability” is first on the list (painfully ironic given that it’s the focus of my entire professional output), as it has so many definitions that it has become almost meaningless. Second place is reserved for “humane” when applied to livestock systems as a marketing term. So, we’re all on the same page…right? Apparently not. In apparent despair at the “self-regulation” performed by the beef industry, Bon Appetit have announced that they will only buy “humanely-raised” meat; sourcing all their loose ground beef and beef patties from suppliers who meet strict animal welfare standards. So who’s defining “humanely-raised” for Bon Appetit? Four independent animal welfare organizations: Animal Welfare Approved (AWA), Food Alliance (FA, my abbreviation), Humane Farm Animal Care (HFAC, my abbreviation) and Global Animal Partnership (GAP). Bon Appetit’s CEO Fedele Bauccio is cited as wanting to change conventional and/or large-scale beef production practices, yet representatives from conventional beef production are missing from the Board of Directors of all four organizations. Instead, Bon Appetit has a seat on the board of both FA and HFAC, and both GAP and HFAC have representatives from the Humane Society of the United States (HSUS) on their boards*. Without wanting to elevate the omnipotent fear of circling black helicopters still further, independent is an interesting descriptor for these groups as none of them could be considered agenda-free with regards to conventional beef production. Their management standards** certainly lead to some interesting welfare considerations. For example, producers on stage 5 of GAP’s program for beef must not castrate, disbud or brand their animals. I imagine the presumed welfare advantages of not performing these physical alterations will be of great comfort to those trying to corral intact, horned 1,300 lb bulls if they escape from their pasture onto the road. Feedlots are prohibited by AWA’s standards – indeed, AWA are such a friend of conventional production that they even find time to try to debunk the science regarding corn-fed and grass-fed beef production with “we all know…” claims. Perhaps most alarming are the various attitudes towards pharmaceutical products. AWA states that homeopathic, herbal or other non-antibiotic alternatives are preferred for the treatment of disease, although with the caveat that should they not prove effective, antibiotics may be used. If effective non-antibiotic treatments existed, given the tight margins in beef production, wouldn’t we already be using them? Furthermore, for how long should we try and treat a dehydrated, diarrhea-coated, coccidiosis-infected calf with fairy dust and rainbows before we use an anticoccidial drug? FA states that an animal cannot be sold under the accreditation program if it has received antibiotics within 100 days of slaughter (farewell accreditation premium!) and GAP prohibits therapeutic use of antibiotics, ionophores, or sulfa drugs for market animals. 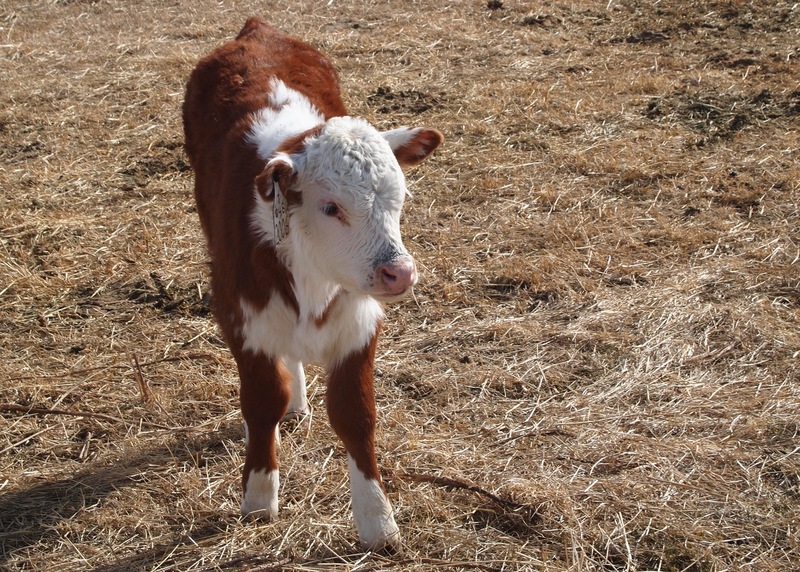 If disease occurs, the producer is economically penalized either way – by removing the animal from the program or by having an untreated sick animal picked out by the buyer. It appears that philosophical ideals and marketing hyperbole may triumph over management practices that are humane by any standards – providing appropriate, effective care to a sick animal. If Bon Appetit’s aim is to change (improve?) practices throughout the beef industry, the logical strategy would be to listen to and work directly with the farmers and ranchers who produce the majority of the nation’s beef, by interacting with the check-off programs. By catering to production systems that prohibit management practices that enable us to raise safe, affordable, environmentally-sustainable beef, and discourage effective veterinary treatment of sick animals, “humane raising” is anything but. Environmental Working Group Proves that “You Can’t Fix Stupid” Proverb is Entirely True. 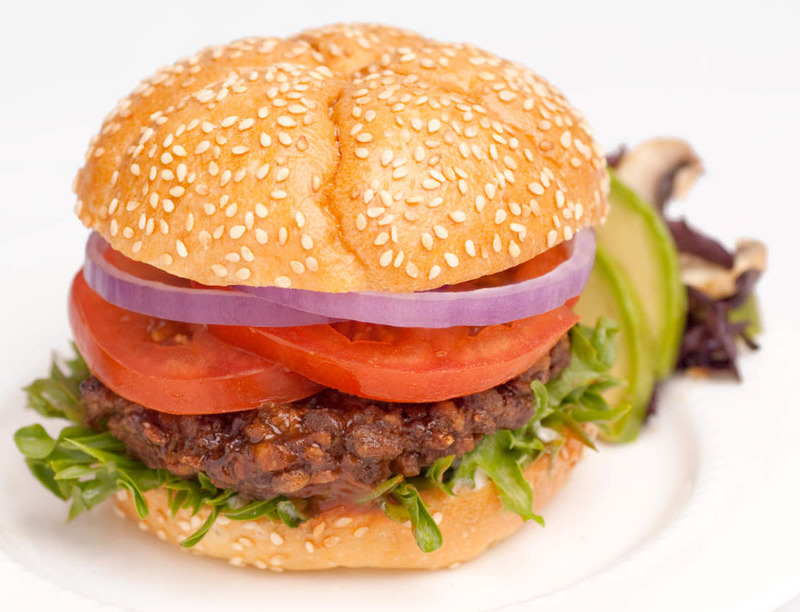 Would you replace your hamburger with a soy burger? Ah, the power of a report from an earnest non-governmental organization, out to save the consumer from themselves. Destined to be selectively quoted for the next 20 years and to prove once and for all that, as the comedian Ron White would say: “You can’t fix stupid”. Released this week, the Environmental Working Group’s report, claimed not only that everybody should eat less meat, but that “Meat, eggs and dairy products that are certified organic, humane and/or grass-fed are generally the least environmentally damaging…Overall, these products are the least harmful, most ethical choices.” This is a surprisingly intuitive conclusion in that it utterly contradicts the body of scientific knowledge to date, and as the report doesn’t contain any data on anything other than conventional production systems, let alone ethics. The requisite environmental activist components are there: stylized pastoral scene on the cover and such a liberal sprinkling of emotive words such as “confined” and “polluting” it seems like an ice-cream sundae assembled by a small child with a sugar addiction. It’s even been peer-reviewed by “experts” (as you may have gathered, when reading this post, words in quote marks should be accompanied by an ironic raised eyebrow). So who are the experts? An RN who teaches “culinary skills and management”, an Assistant Scientist interested in “access to sustainably produced and healthy food”, another whose program aims to “address the environmental and public health impacts of industrial agriculture and promote more sustainable alternatives”. Methodology reviewers were the aforementioned Assistant Scientist, an expert in tropical forests and the daughter of the founder of the Small Planet Institute. What’s the link here? An interest in “sustainability” – which in this case means community-supported agriculture, local food, and nutrition. Where are the experts in livestock production? Who checked with animal and meat scientists, industry professionals, extension agents, nutritionists or processors who can verify that the assumptions made within the report are correct? It’s a bona-fide report with colorful graphs, acknowledgements, a whole separate report on the methodology (which guarantees nobody will read it) and data! As we all know, data is powerful. According to their “calculations”, lamb has the greatest impact, generating 39.3 kg (86.4 lbs) of carbon dioxide equivalents (CO2e) for each kilo eaten, and beef has the second-highest emissions, generating 27.1 kilos (59.6 lbs) of CO2e per kilo consumed. Cheese generates the third-highest emissions, 13.5 kilos (29.7 lbs) of CO2e per kilo eaten. Everybody knows that data doesn’t lie. Cold hard numbers are based on science. Yet just as I can replace ground beef with tofu and make something that looks like a burger, yet tastes like… soy, so has the EWG have used poor-quality data and erroneous assumptions to create a vegetarian ideology that is a poor substitute for real science. They claim that if everyone in the U.S. chose a vegetarian diet, it would reduce US carbon emissions by 4.5%. This is an impressive achievement since the Environmental Protection Agency cites livestock production (including dairy, eggs and horses) in the US as accounting for 3.12% of total emissions. Who knows where that extra 1.4 percent comes from? The animal component of the report shows a lamentable lack of basic livestock production knowledge. In the beef example, the cow-calf and stocker operations are based on a lot feeding system in Nebraska rather than rangeland production and by-product/forage feeding. All the animals raised are steers (what on earth happens to the heifers?) and there appear to be no bulls in the system, not to mention the lack of dairy calves entering the feedlot and cull beef or dairy cows entering the production chain. Crucially there is no data on herd dynamics, bodyweights, growth rates, and total time required for animals to reach slaughter weight – the most important factors that affect the carbon footprint of a unit of beef. The lamb system does contain rams as well as ewes, but there is no data relating to the flock, and most crucially, to the lambing rate. US farm flocks average 1.5 to 2.5 lambs per ewe per year whereas range flocks average 1.0-1.5 lambs per ewe. If we compare this to the US average for beef according to the most recent USDA/NAHMS report of 87% of cows producing a live calf, that means we need roughly twice as many beef cows to produce offspring as we do ewes, even considering the fact that lamb produce slightly less meat per carcass on a percentage basis (for a more realistic estimate of meat yields than those quoted in the EWG report, the University of KY have a nice extension publication on the subject). So here it is, the issue that every single life cycle assessment involving animals and executed by LCA engineers to date misses – the fact that for every day an animal is alive, it needs a certain amount of energy and protein (and therefore feed, land, fertilizers, fossil fuels etc) simply to stay alive. This is called the maintenance requirement and it’s exactly the same principle that leads to that nifty “The average woman requires 2,000 calories, the average man requires 2,500 calories” credo that’s on almost every nutritional label. It doesn’t take a giant deductive leap to realize that if a certain amount of feed is needed to maintain an animal, there’s going to be a certain amount of waste too – which means manure and greenhouse gases. Breeding animals in meat production are the biggest contributors to the total carbon footprint precisely because they consume resources and emit greenhouse gases each day, yet only end up in the human food chain after a number of years, if at all. If I’m making a bun for my tofu burger, it’s more efficient to cook it in an oven that can produce two or three buns rather than one. Exactly the same analogy applies to breeding herds – a larger breeding herd with reduced reproductive efficiency (i.e. fewer offspring per female), means more resources and a greater carbon footprint per unit of milk or meat. Lamb’s carbon footprint would be expected to be approximately half to two-thirds that of beef given the greater reproductive efficiency, yet the EWG’s estimation has lamb at 44% higher – a clear reflection of the invalidity of their results. Comparing the carbon footprint of different meat products is an elegantly futile competition in which nobody wins. According to their “data” beef is a better choice than lamb, chicken is better than pork. Yet who fancies chicken Wellington for dinner? Or egg pot pie? Or a pea McMuffin? The idea that we should be happy, saving the world on a diet of tofu and lentils is somewhat ironic given their propensity to produce increased methane from the human gastro-intestinal tract. Are all 311 million people in the US going to rush to the grocery store and fulfill the EWG’s somewhat desperate cry for Meatless Mondays? Until all human activity can be put into context and the effect of driving to work vs. buying French wine vs. eating an 18-oz T-bone vs. having a third child can be compared objectively, this report is simply another one-week-wonder, destined to be quoted in every vegetarian manifesto and vegan twitter post (presumably vegans don’t tweet, as that would be exploiting birds?) but forgotten as soon as Katherine Middleton wears a new dress on a royal visit or yet another politician demonstrates their indirect support for the pork industry by increasing Google searches for “wiener”.